A great deal of confusion seems to exist with regard to what astrology is and, as far as we can know, has always been. In order to reach a clear understanding of these issues, we must first realize is that every culture, every society, has its own astrology. There is a basic foundation for all these different astrologies, but each astrology in each culture has its own character, its own way of interpreting the stars, the Sun and Moon, the planets and their motions. Moreover, in every culture, as far was we can know, there have always been two levels at which astrology has been understood; though, in many old cultures these two levels were constantly interrelated and in a sense formed only one. In such cases, only the applications of astrology can be said to differ. All systems of astrology are of course based on the idea that a correlation exists between the motions of observable celestial bodies, particularly the Sun, Moon and planets, and certain types of events on the surface of the earth, or in the lives of human beings, which have a more or less repetitive character. Nevertheless, the fact is this correlation can be given a variety of meanings and, granted that it exists, it can be interpreted in at least two basic ways. In ancient cultures, astrology dealt with the relationship between the Sky (capital S) and the earth (or rather earth-nature which is the variety of biological processes observed by human beings that has very definite effects upon the lives of these human beings, at first in strictly collective sense such as the tribe, the society and the kingdom, and later took on a personal, individual character). In a sense we are dealing with events in archaic astrology, but there cannot be any astrology if we do not also basically deal with repetitive events, or periodical manifestations of something that we call nature: the seasons, the weather, or human moods. Later we work with certain types of emotions that have a tendency to recur and therefore to have been given definite names and classification. We are thus essentially dealing with celestial processes and natural processes on earth—a polarization of the Sky and earth; the Sky is positive, the earth receptive. In astrology there is a correlation between the two. The celestial processes have a definite impact on the natural processes on earth or in a human being. In ancient cosmology this meant that the Sky was the abode of the gods, of divine beings, celestial hierarchies whose power and dictates organized and controlled everything that occurred in earthly nature and in human nature as well as in the processes of vegetation and climate, and in the destiny of kingdoms and nations. We could of course look at astrology strictly in terms of predicting these events so that we could to some extent be prepared for, and if not control them, at least control our approach and reaction to them. We could also concentrate on the concept of the Sky as being the abode of gods who could be reached to some degree by human beings and who could be prayed to, propitiated, asked favors of and so on. We could therefore have a religious approach, or rather a sacred, magical or theurgical approach to astrology. These two approaches—the strictly event-oriented and the god-oriented, the one dealing with effects and the other with causes-were probably differentiated enough so that for the people at large the event-oriented approach was probably the most important. Yet since the processes of life constituted the main motif in the seasonal rituals and magical ceremonies—so often based on sexual symbolism in ancient societies—the two levels of astrology were hardly differentiated. Today we are dealing with a kind of astrology that may have had its roots in Chaldea and Egypt; nevertheless, it has come to us almost solely through Greek, Alexandrian, and later some Roman astrologers-the main one being Ptolemy of Alexandra in the second century AD. Society by that time—at least in its upper classes—had become definitely individualistic, and since the great Greek period very rationalistic; yet the ancient mystery cults were not entirely forgotten, and even intellectuals kept referring to the gods and connected the gods with the planets. Thus, on one hand astrology dealt with events in the lives of individuals, and predictions for individuals, and on the other it was still to some extent connected with the religious approach. This dualistic situation was still in effect through the Renaissance and post-Renaissance classical centuries of European culture, although the Greek deities became purely symbolical of course and practically all that remained of astrology was the prediction of events. There was relatively little concentration on nature and natural processes. Nevertheless there were also at the time alchemists such as Paracelsus and Boehme who wrote about astrology in terms of processes, and about its relation to the foundations of human life, not merely along materialistic lines, but in terms of what Paracelsus called spirits, that is, in terms of occult and superphysical manifestations. Man, however, characterized as a rational creature to whom God has given both reason and a soul, has an independent capacity for choices, and was therefore thought to be superior to what were understood as the elemental forces of the planets. Human beings could therefore counteract or control the planets in some way; and it was said: "The wise man rules his stars, the fool heeds them." Today we have again to some extent a dualistic approach, but one quite definitely reinterpreted. I have spoken of its as the dualism between an event-oriented astrology—strictly predictive astrology based on the concept that the planets, Sun, Moon and stars send emanations or rays which act directly or indirectly on events in the biosphere and on human beings—and a person-centered type of astrology which essentially deals with the psyche of human beings, with describing character traits, strengths and weaknesses in the nature of a particular person, and also to some extent with the process of development of the person from birth to death. Since 1935-36, when I wrote The Astrology of Personality, I have stressed what eventually became known as humanistic astrology, an astrology essentially concerned with the process of the development of human personality from the cradle to the grave. From the point of view of humanistic astrology, a person is not considered exterior to his or her birth chart, but rather the birth-chart represents the blueprint, as it were, of the personality; it symbolizes what was potential at birth and what has to be actualized step by step as the human being grows through childhood, adolescence and maturity. What I stressed in that approach was the meaning of life, the meaning of events in terms of the place those events occupy in the development of the whole person. Thus, astrology again finds itself in a dualistic situation. There are endless arguments between at least the two basic groups. On one hand are those astrologers essentially concerned with concrete events who, if they are scientifically inclined, try to prove by statistical, empirical methods that astrology "works." On the other hand is a smaller group of astrologers who try to use astrology as a purely symbolical language enabling us to give a more fundamental and more significant meaning to all the events of our lives. This humanistic approach also deals with events, for events, whether of the "inner" or "outer" life, make up the fabric, as it were, of our lives. But the humanistic astrologer understands a person's life as a development process. He or she tries to see how events can be given meaning as phases of this process, actualizing step by step what was potential at birth. Such an approach to astrology deals with a person's life and how it operates as a whole, with events as turning points in life. It deals essentially with dharma, with understanding what we were born for and the steps by means of which we are fulfilling our dharma. Astrologers operating in such a way are psychologists but not psychologists of analytical, empirical, behavioristic or personality worshipping types trying to make a person "bigger" or "better." They represent the kind of psychologist who has a sense of the sacredness of human life and sees it as a ritual which individual persons perform—and are meant to perform—consciously, and from which they are able to extract a profound meaning. In this conscious performance of their life-rituals human beings are different from animals, who also perform their dharma, but do so under the rule of instinct with no possibility of not being true to their nature—a possibility which, since humans can be true or not true to their natures, is both our glory and our tragic burden. The reason for this possibility that man will not be true to his essential nature is that by finding out what he is not, through pain and suffering and tragedy, he is left to discover consciously what he is—his true dharma—and he is thereby able knowingly and willingly to perform that dharma. Astrology, from that point of view, is the help which the Sky gives us in the performance of our dharma. The birth-chart is a celestial message that indicates to us, if not exactly what our dharma is, then that which by implication is the best way and best circumstances, the best types of experiences which, by using our physical, psychological and mental capacities, we can reach through to a state of human and personal fulfillment, and also eventually transform ourselves and reach beyond the strictly personal and strictly human frame of reference. This of course leads to the possibility of what I have called a transpersonal astrology, or an astrology dealing essentially with the possibility for a human being to transform radically the implications of his being, and to ascend or rise from the level of purely human consciousness and activity to a much greater and more spiritual field of activity and consciousness which, for lack of a better term, we can call trans-physical and trans-human. Theosophy refers to this stage as the realm of the masters—the White Lodge—a realm in which human individuality, while being retained as a foundation, is nevertheless completely transformed and transfigured by the realization of the unity of all men; the realization that humanity's task is to make manifest on earth the archetype of the Word-in-the-beginning, the image of the divine in man, the Logos. It is to this last mentioned type of astrology that I have consecrated my last books and my last efforts. Its implications are very vast, and they are of course quite metaphysical. They correspond in a sense to the kind of astrology known in ancient China, particularly where the Sky represented an ideal that had to be impressed upon the wild impulses of human nature; upon human beings as purely a higher form of animal life; and upon society gathering an organization of such beings under a central control symbolized by the Emperor. The Emperor was the Celestial; he was a god-man, and he stood between the Sky and the earth as a lens, focalizing, as it were, upon the world-stage—upon his kingdom—the power, the destiny and the harmony of the Sky. There is of course much more that could be said about astrology and particularly about what I have called person-centered, humanistic and now transpersonal astrology; but unless we understand what I have sketched in the foregoing, it would be difficult to orient ourselves to a higher aspect, so-called, of astrology, because we would still take for granted that there is one astrology which started somewhere in Chaldea or wherever and has developed, and is now still developing, in the same way, along the same lines, with the same material and for the same purpose. From my point of view, such an assumption underlies a completely erroneous approach and is creating a tremendous amount of confusion in the field of astrology. In conclusion I should add that what I have written does not meant and should not be taken to imply that astrologers who have taken the event-oriented approach and predict events or personal developments in either a person's character or affairs of life are "wrong." Such an approach undoubtedly satisfies the need of a large number of human beings, even though one perhaps should not speak of needs but rather of wants born of insecurity and lack of faith in life itself. Neither am I disparaging astrologers who are trying to prove astrology's validity by the use of scientific methods, statistics and the like; I am simply stating that there is another level on which astrology can be approached and used, and that that level corresponds in some way to the sacred level at which archaic astrology operated in the hands of priests and initiates. 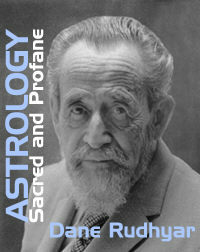 Beyond these approaches to astrology one may also have to add a strictly occult approach to which H. P. Blavatsky referred in The Secret Doctrine; but we have to realize that such an approach does not deal with human beings or nature in physical form, but rather refers to an astral world—a world of forces of which astrologers today know nothing. Times may come when occult knowledge of cosmic forces affecting the realm of the akasha will be available to a number of people, but thinking along such lines as a justification for any of the approaches which are known today in western astrology does not seem to me valuable. Thus, I believe the issue is not between using that kind of occult astrology or a more popular, scientific or symbolic kind of astrology, because all we know belongs to the realm of human nature, of physical nature, and the lives of individual persons who are still functioning as embodied personalities.